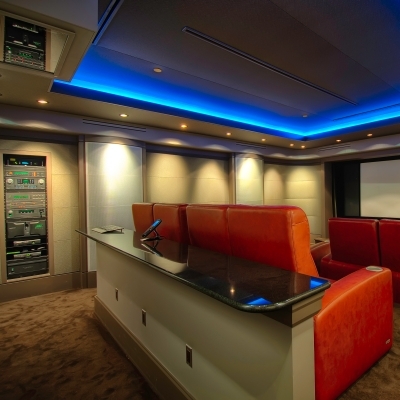 Home Cinema systems reproduce cinema quality video and surround sound audio in the comfort of your own home. 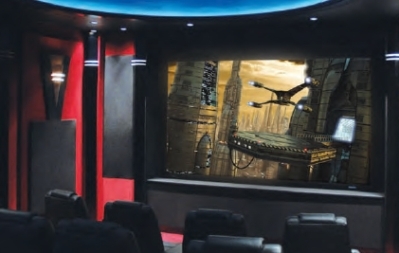 From a dedicated home theatre room with built in screen, projection and surround sound systems through to a simple projector with a drop down screen in your living room, we will work closely with you to devise the cinema experience of your dreams. 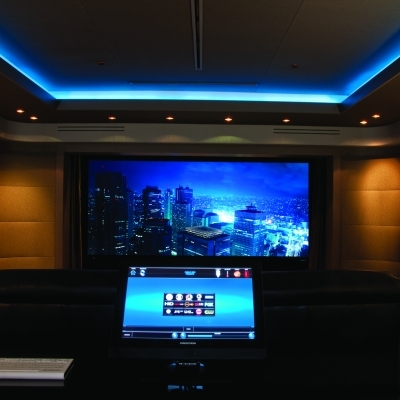 By integrating a home cinema with a Crestron touch screen control system you can create the ultimate AV setup, controlled by your fingertips from an iPad or touch screen. Imagine pressing a button to start the film on your touchscreen controller - the lights dim, automated blinds shut, the curtains to the screen draw back to a drum roll and the film begins! We can even integrate motion shakers which tilt your seat to movements in the film, to take your cinema experience out of this world. For an example of what you can achieve, please view our brochures or view the images.